Are you thinking of making renovations to your property? It is important that you put as much effort into it as possible. 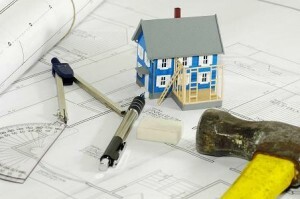 Planning is thus very essential to be able to add as much value to the property as possible. In this article I will explain a few hints and tips to make sure that you get the best out of your home improvements. It is important that you know that some renovations will instantly add value to your property where as other might do the opposite. It would be a good thing to consult with a few real estate agents to see what you can do to add the most value as possible to your home and how to go about. First I will explain what value means in the estate trading industry. You will add a lot of value to your home if you build extra rooms, bathrooms or granny flats to your property. Value is all things that will push up the market value of the property. We have seen that new bathrooms or kitchens are very appealing to home buyers. If you decide to add one of the above mentioned to your home then I will advise you to do it proper. The quality of the work is very important. You will see that badly fitted cupboards and bad paintjobs are a major turn-down for home buyers. The buyers will then firstly think that they would have to spend more money on that property, and extra costs are what they are trying to avoid. The moral of the story is that you should not try to go for the easiest way out when renovating your property. Get the right people to do the job. It is of utmost importance to make use of reputable home renovators. We have seen that you can make small changes to your home that will add big value to the property. Small alterations like; new tiles, fittings, paint jobs and taps can add a lot of value to your home without costing you a lot. I will advise that you go through every room, as if you were a buyer, then look for things that you would have liked to be different, especially factors that comes down to dirt or bad handy man jobs. Then you should make the effort to improve these things. Save the buyer from going through these troubles and push up the market value of your property. Another place where you can add a lot of value is the garden. It always gives a good impression if you have a neat garden. It does not cost a lot to keep your garden in a good state and it will have a positive influence on the value of the property. Although a home renovation is not to expensive, we won’t always have the extra funds to invest in a renovation. Then I will advise you to apply for a further home loan. This means that you will lend more money from the bank in order to carry on with the renovation. The process is the same as applying for a home loan. The bank will first see that you can afford the monthly payments. Then they will calculate whether the renovations will be financially wise for you and if it will add the needed value to the property. To conclude. The best marketing tool is a well maintained house. All home owners should strive to add value to their property. There are numerous ways to make big bucks with property without spending a lot more than anticipated. ← How Does Rent-To-Own Work?